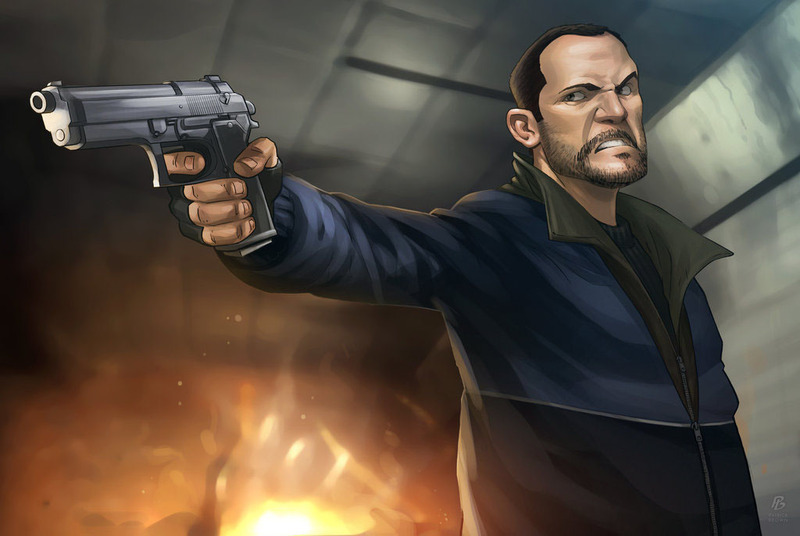 Niko Bellic, decent, sarcastic..but easy to piss off! This fan art meant a new direction for Patrick Browns works since he used partially different techniques than before, and while his older were anything but bad, the additional shading effects make his art even better! This looks just great as a wallpaper too!